With ongoing uncertainty in the housing market and the associated costs of moving such as stamp duty and agents fees, more and more of us are choosing to “do up” rather than sell up. A well-planned renovation could give you the home you need for years to come, at a fraction of the cost of selling and buying somewhere new. Any renovation project is incredibly exciting, but substantial works such as extensions or loft conversions can be extremely disruptive. Work in the kitchen or bathroom could leave you without essential facilities, while a loft conversion could leave bedrooms uninhabitable and family members sharing rooms. So what do you do if you don’t want to live amid the dust and mess of a building site while the work’s being done? 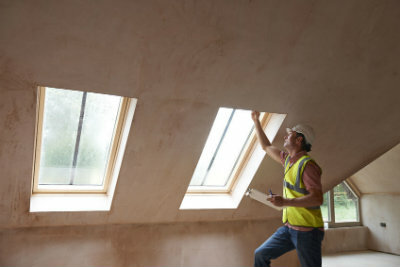 Renovations can leave you with an awkward time period to accommodate – extensions can take between two and six months and loft conversions between five and twelve weeks, depending on the size of the project. Standard rental contracts will tie you in for at least a few months, and with the rental market hotter than ever, competing against those ready to sign longer-term contracts with landlords could leave you out in the cold. Staying in a hotel offers flexibility on check-in and check-out dates, but hotel rates make longer term stays an expensive option, especially if you need to book multiple rooms to accommodate the family. And the extra costs of dining out, entertainment and laundry will all eat further into that precious renovation budget. If you’re looking for a real safe haven during the works, why not consider a serviced apartment? Available for short-term residency with all utility bills included, a serviced apartment is a fully furnished flat that combines all the benefits and space of renting with all the amenities you would expect to find in a hotel. And serviced apartments also deliver fantastic flexibility and value for money – a 2-bed/2-bath apartment for 4 people from Abodebed is available for as little as £130 per night (8 nights+), with flexible tenancy agreements for stays from one to six months. Guests can enjoy a number of rooms, including a lounge and kitchen, and bedrooms and bathrooms, alongside regular apartment cleaning and simple check-in. Most serviced apartments will also offer all the comforts of home – our Abodebed apartments come with fully equipped kitchens, relaxing living rooms, a flat screen TV with full Sky TV package, high-speed WiFi, luxury Hypnos beds, high quality bed linen and towels, and a dedicated parking space. So when the builders move in and you need to move out, speak to us to discover all the benefits of Abodebed’s serviced apartments – and ensure that once the works are completed, you’ll return relaxed, refreshed and ready to begin life in your own dream home.